Paros. 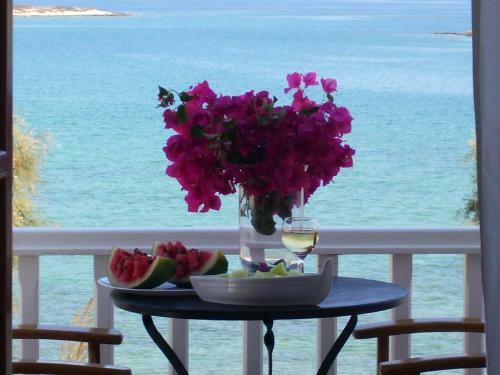 Paros is the third largest Cycladic island. It is hilly with scenic beaches and a number of picturesque villages. The island's capital is Parikia, which is located in a vast bay in the west of the island. 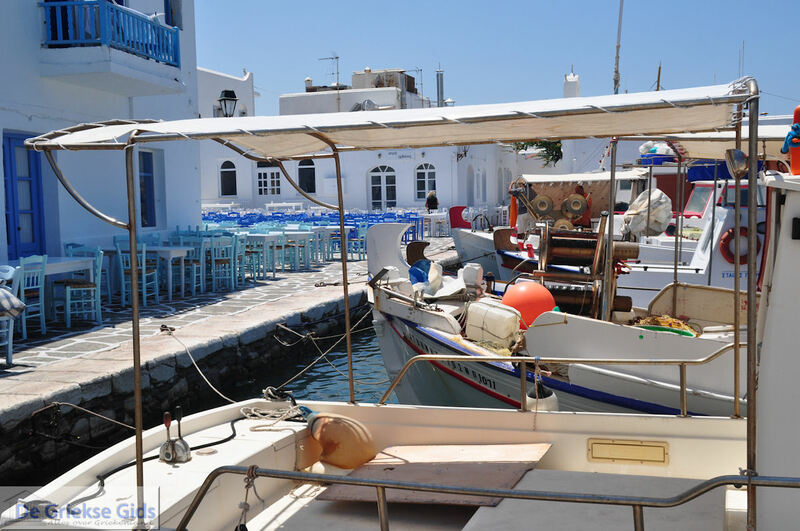 In Parikia you find the major port of the island and nearly all tourists who come on Paros arrive through Parikia via ferry boat. 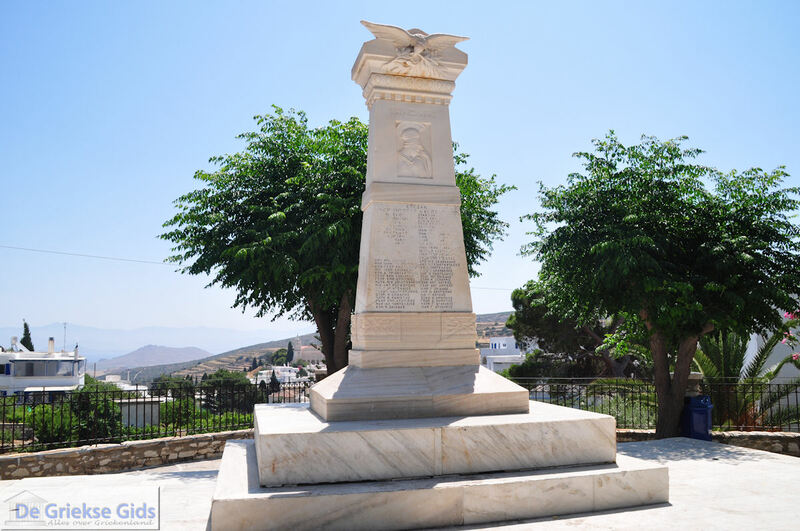 To explore the island very well, we suggest you use capital Parikia as a base or the village of Naoussa, which lies in the north of the island. 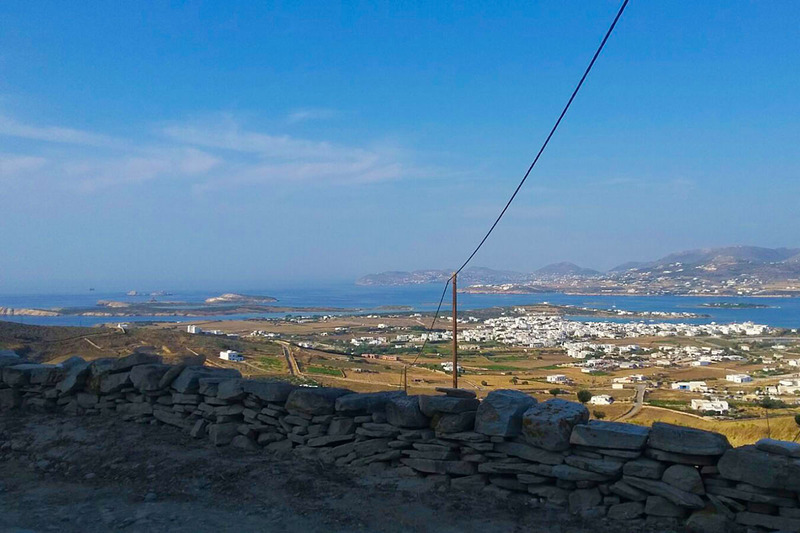 Paros is not so big (196 km2/76 mi2). 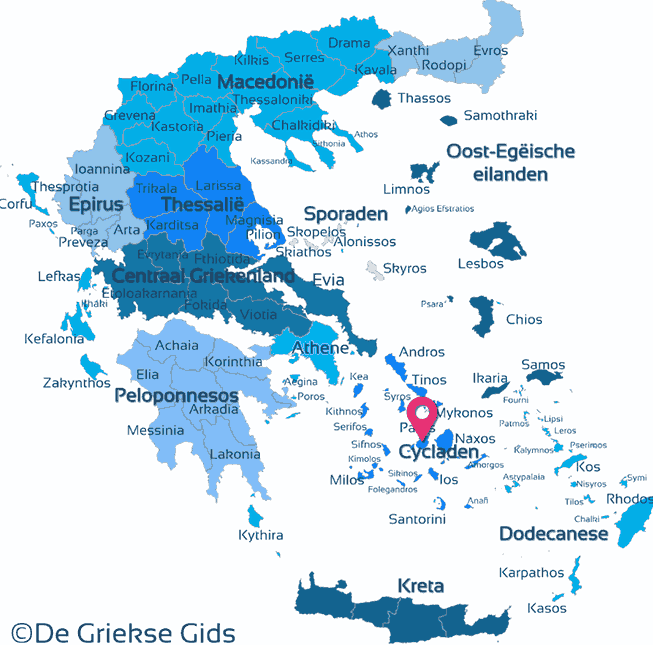 About 12,000 people live on the island, most of them in the capital Parikia. 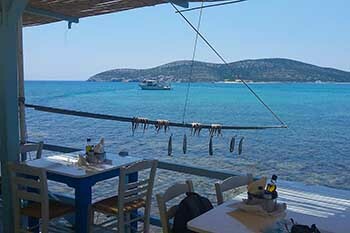 The island is very popular because of its central location in the Cyclades. That’s why the port of Parikia is also a busy port. Every few hours ferries arrive at the port with hundreds of tourists. The most beautiful beaches of the island are mainly in the east, but there are also beautiful beaches in the south, west and even in Naoussa Bay in the north of the island. In the bay of Naoussa is the picturesque town of Naoussa, which was originally a fishing village. 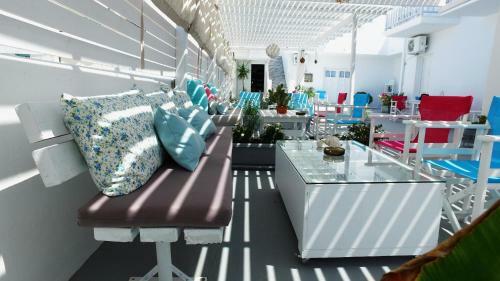 Nowadays it has become one of the most cosmopolitan tourist locations in Greece. Naoussa is really fantastic! 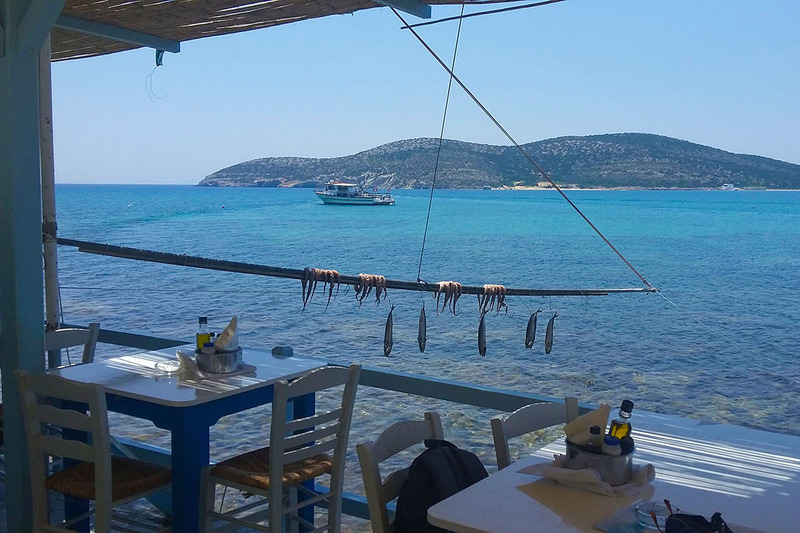 On the island are several interesting fishing villages like Piso Livadi, Aliki and Drios. Each has inviting taverns and cafes. 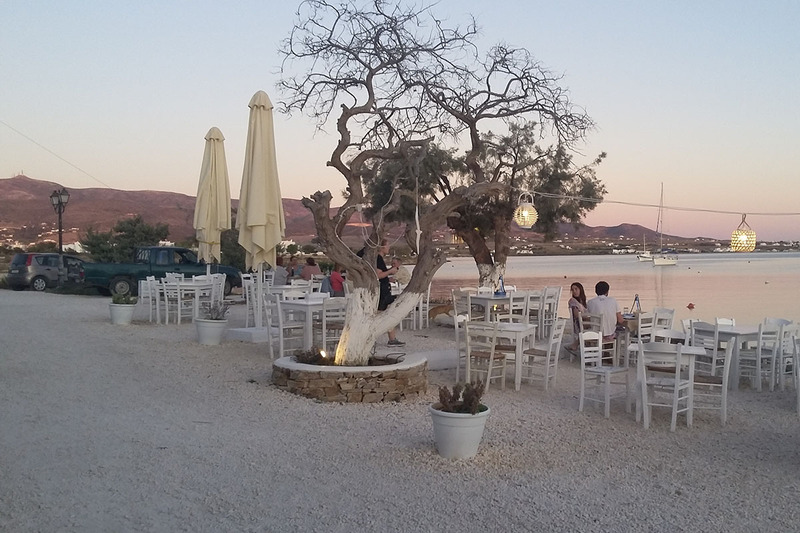 When moving in the interior of the island you will encounter typical Cycladic villages like Kostos and Lefkes. Lefkes is one of the most beautiful villages in the Cyclades. You can park your car at the edge of the village and then walk through the village and enjoy. It’s amazing! 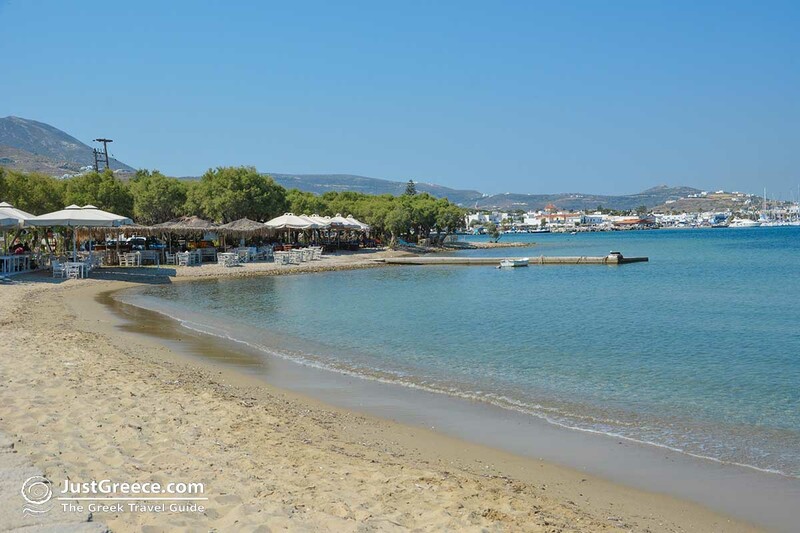 Beautiful beaches in the north of Paros: Beach Kolimbithres, which lies four kilometers (2.5 mi) from Naoussa. This is the most beautiful beach in this part of the island. Kolimbithres is known as the beach with granite rocks. It is a gorgeous beach and is divided into two bays. 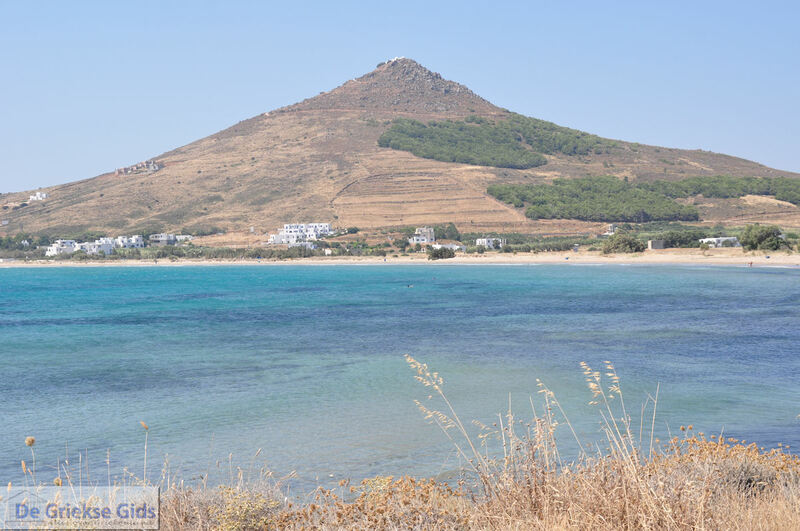 North of Kolimbithers is another popular beach called Aghios Ioannis Detis. It is a broad, not too long, sandy beach where all kinds of watersports are available, as well as beach volleyball. Beautiful beaches in the east and south of Paros: From north to south you will discover the beaches of Santa Maria (near Naoussa), Ampelas, Molos, Piso Livadi, Logaras, Pounta (popular among young people, a beach with many beach bars), Golden and New Golden Beach (ideal for surfers) and Aliki. 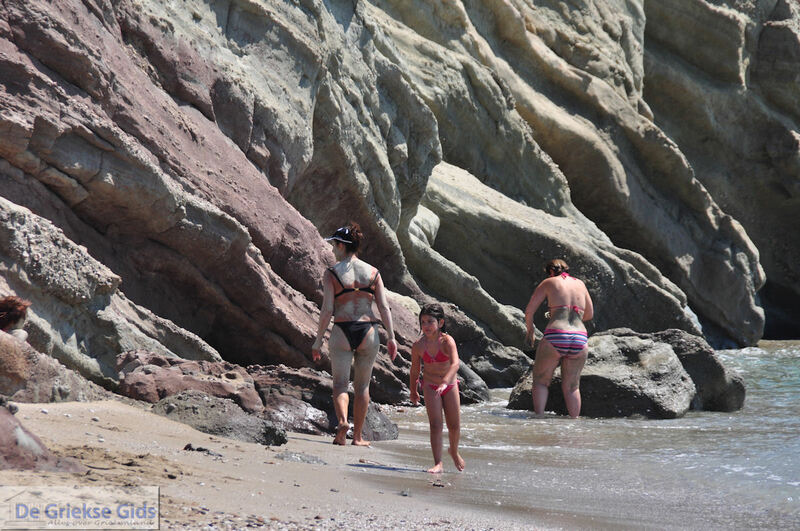 Beautiful beaches in the west, from north to south are the beaches in the bay of Parikia (Kaminia, Krios, Krotiri and Livadia), Parasporos, Agia Irini and Pounta. 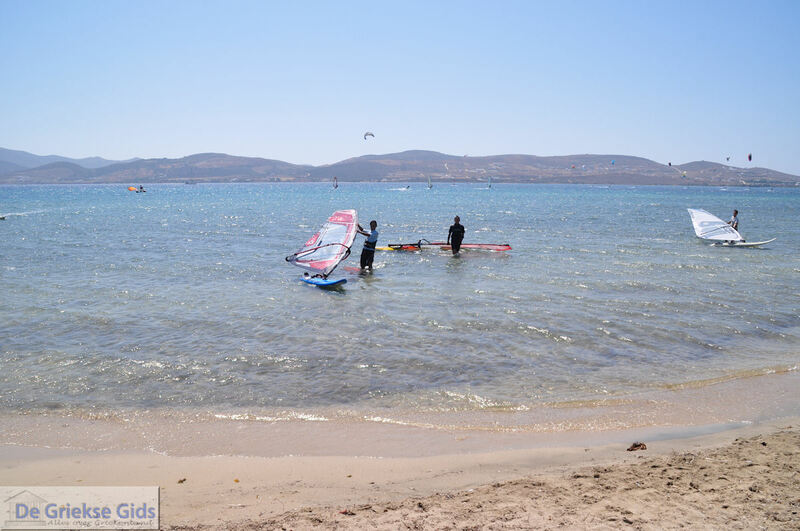 Paros Pounta in the west is a beach that is very popular with kite surfers. There are two Pountas, one in the east and one in the west that are sometimes confused. 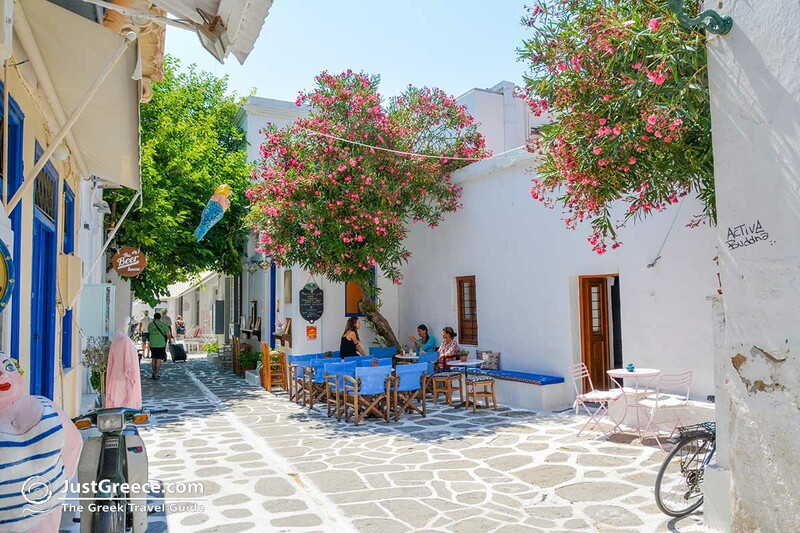 Parikia: The traditional capital in fully Cycladic style. 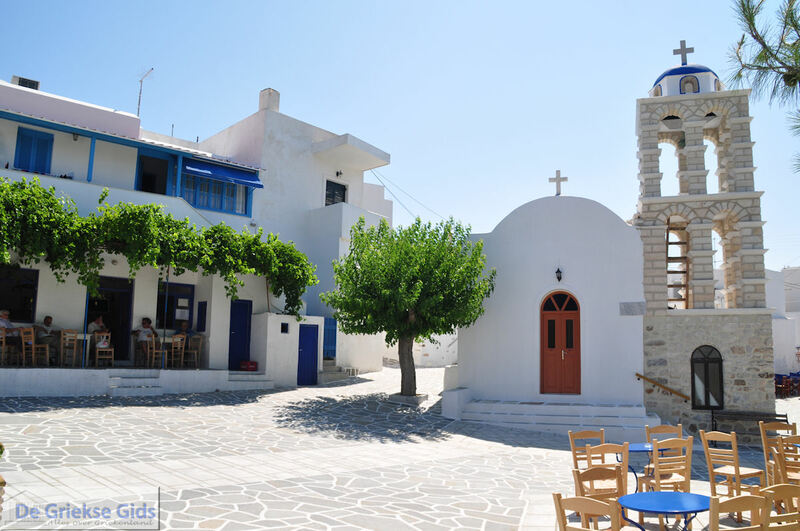 In the capital of Paros you must visit the Church of Panagia Ekatontapiliani and the archaeological museum. 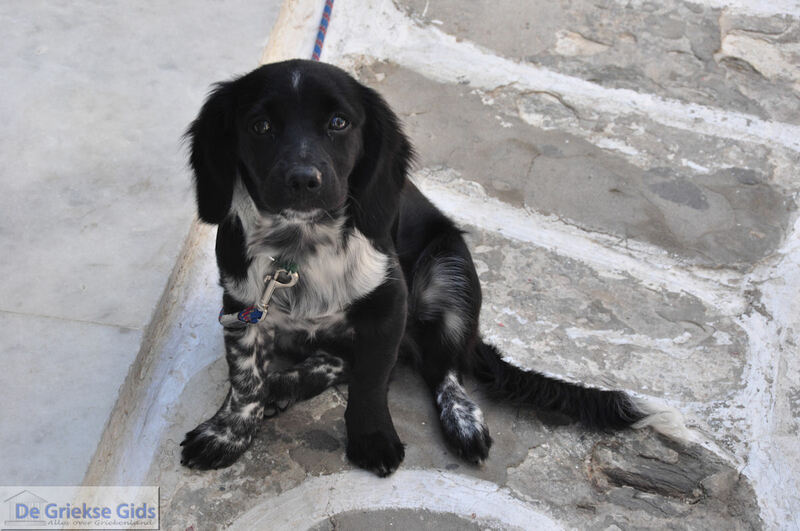 Naoussa: We found Naoussa to be the best location on the island. It’s exciting enough to compete with Mykonos town. 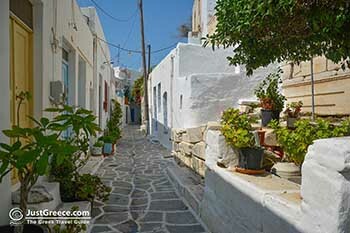 Narrow streets, whitewashed houses, small shops, a cute harbor, lots of restaurants and cafes. It’s busy but very, very fun! Marathi: In the village of Marathi there are ancient marble quarries. In this region, for centuries, it was the most translucent marble mined. Lefkes: Magnificent picturesque village in the interior of the island. It’s one of the most picturesque villages on Paros. Petaloudes: Seven kilometers (less than 4.5 miles) south of Parikia is Petaloudes (butterflies), it is a bushy valley where you can enjoy your walk. Asklepieion: Two kilometers (a little over a mile) south of Parikia is the Asklipieion. Here you can visit the ruins of the ancient sanctuary of Asclepius and Apollo. 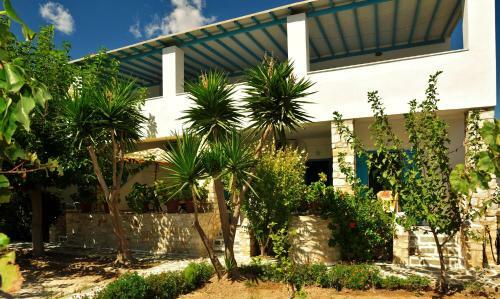 Monasteries Paros: On Paros there are several monasteries, the most famous of which is the monastery of Longo Varda, situated on the road Parikia-Naoussa and built in the 17th century. This is also the largest monastery on the island. Other monasteries are those of Aghios Georgios, built on a hill overlooking Marpissa and Piso Livadi, and the monastery of Aghios Antonios in Parikia. The monastery of Aghios Antonios was founded in the year 1597. 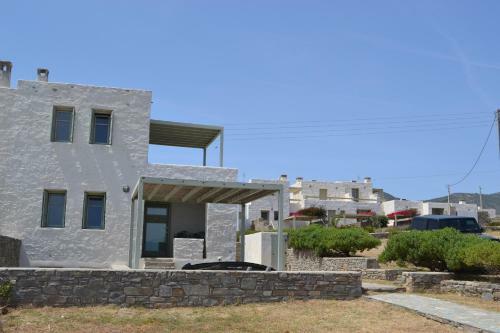 Paros is a very popular island among walkers. Indeed, there are many hiking and mountain trails that were once used by the inhabitants of the island by foot or donkey to take them to a particular location, beach or church. It is beautiful to walk here, especially in spring, because the natural environment is very green and the smell of blooming flowers hangs in the air. 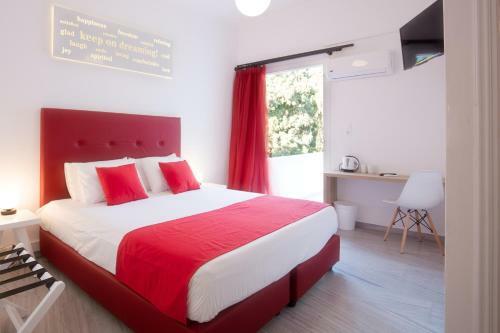 You can walk from Parikia to Marathi (10 km/6 mi), Molos Santa Maria (12 km/7.5 mi), Lefkes-Aliki (for experienced hikers - 20 km/12 mi), Lefkes-Naoussa (10 km/6 mi) and many more locations. On Paros is an airport receiving only domestic flights. 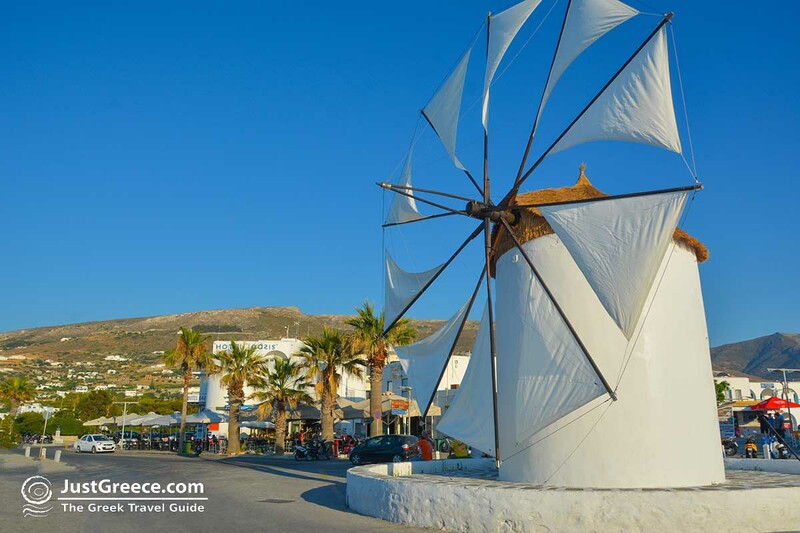 If you want to fly to Paros, you can only do that from Athens. However, most tourists come by boat. Since the island is centrally located in the Cyclades, it is pretty easy and fast to reach it from Mykonos. 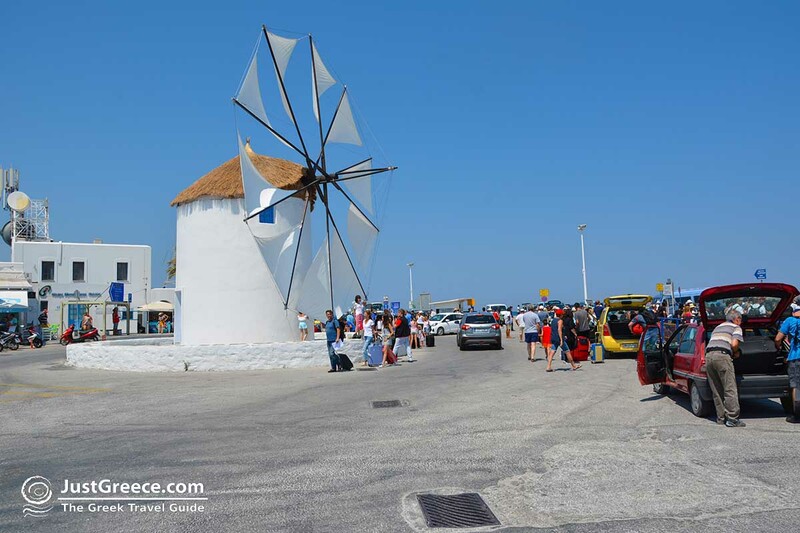 From Piraeus (near Athens) you can choose from among several daily ferries to Paros. 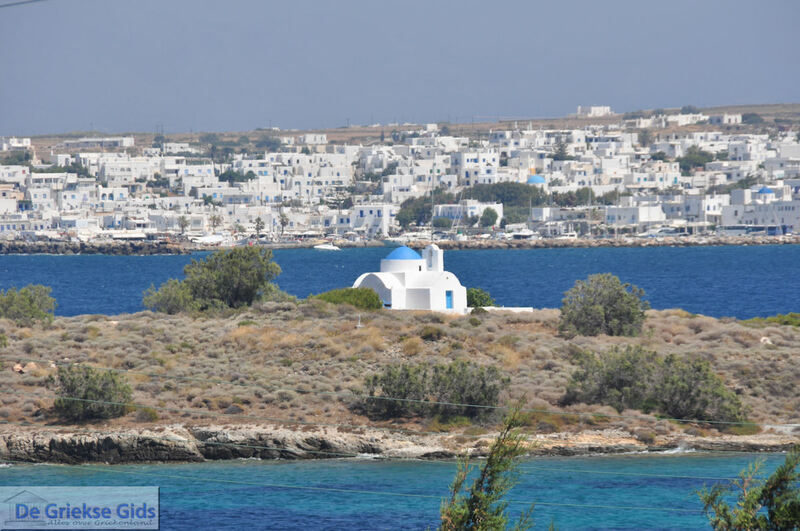 A few days a week, ferries sail with direct connection from other islands such as Tinos, Santorini and even Crete. A boat trip from Piraeus to Paros takes about four hours. Boats connect Paros with the following ports: Piraeus (Athens), Amorgos, Anafi, Astypalea, Donoussa, Folegandros, Ikaria, Heraklion (Crete), Ikaria, Ios, Iraklia, Kalymnos, Kastelorizo, chalk, Kos, Koufonissi, Leros, Milos, Mykonos, Naxos, Nisyros, Patmos, Rhodes, Samos, Santorini, Schinoussa, Serifos, Sifnos, Sikinos, Syros, Thirassia and Tilos. 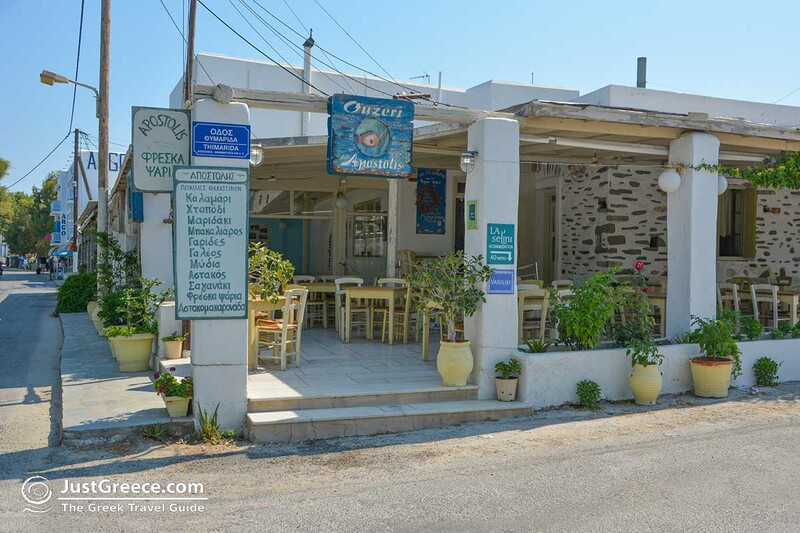 Paros: Where on the map is Paros located?